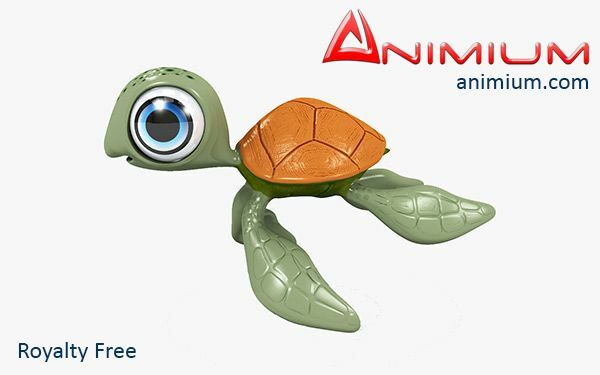 3d cartoon turtle or the famous cartoon turtle the squirt, medium detailed quad faced 3d mesh with UVW map and texture. Perfect for any kind of renders and illustration, model can be rigged and animated. Provided in various 3d formats for easy import into your native 3d application. Download professional quality, royalty free 3d models available for rigging and animation. Formats: 3ds max, Lightwave, Obj and 3ds.